This is one of the easiest recipes on this blog. It's so easy it's laughable and yet, it's delicious. The marinade consists of just three simple ingredients that I think most people have in their cupboards (or larders as they say here in the UK) and it pairs so well with the chicken and rice, something I imagine is quite standard in most people's kitchens as well. I like to serve this alongside some steamed green beans for a simple, quick and easy weeknight dinner, but I really don't mind this on the weekend either and I'd have no qualms about serving this at a dinner party for guests. 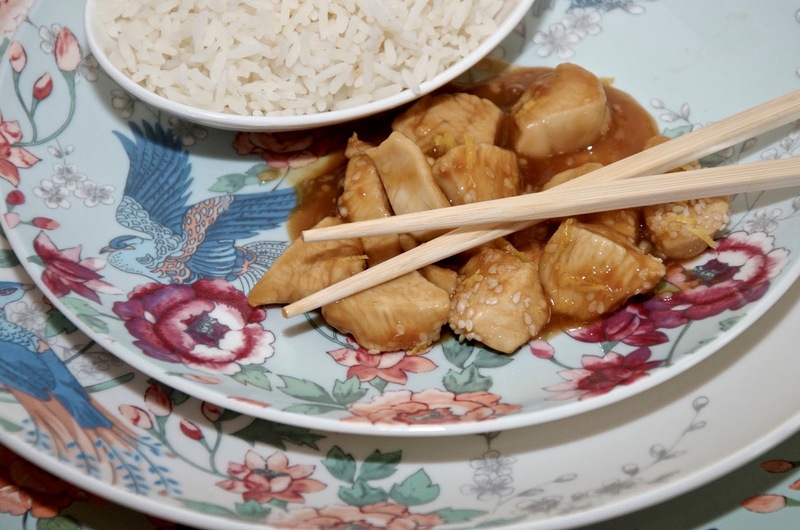 It's delicious and made that much more fun if you have some chopsticks lying around, or even some store-bought fortune cookies to serve with dessert. The lemon is subtle, but just sharp enough for a citrusy burst, while the mixture of honey & soy sauce give it a salty sweet flavor that's ever-so -satisfying. It's not so sour or salty that kids wouldn't like it. In fact, I'd venture to say that if your kids will eat teryaki, then they'll probably love this! Of course this is only a guide... If you prefer this to be a bit more sharp, add more lemon juice. If sweetness is what you crave, add more honey. 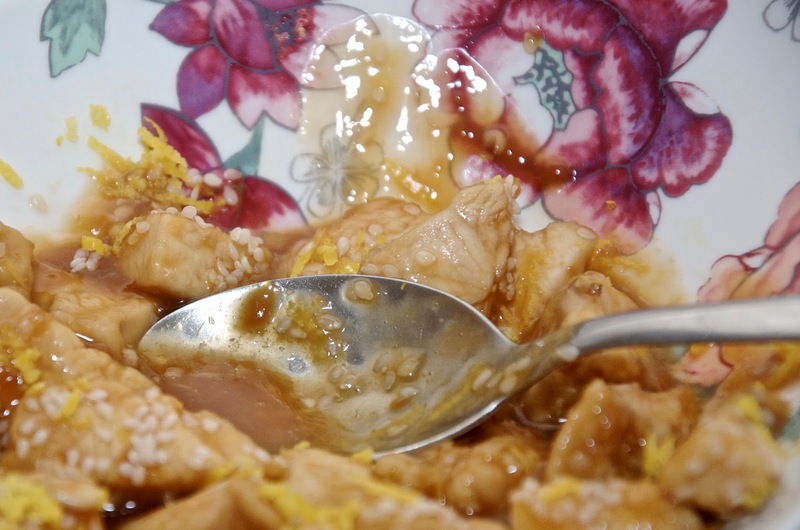 If it's not quite savory or salty enough, then an additional tablespoon of soy sauce wouldn't hurt, but this is how I like it... To me, this is the perfect combination of all three flavors once it's sprinkled with lemon zest and flavorful sesame seeds. Whether you pop this into bowls for what famed cooks such as Nigella Lawson and Deliciously Ella call "bowl food" to enjoy on the couch while you're watching a movie, or you present this beautifully on the table for a family style meal, it's always a treat and a crowd pleaser. This recipe makes enough for two people, but multiplying it for more is simple enough if you're serving the whole family or guests. 1. In a medium sized bowl, mix together the honey, soy sauce and lemon juice with a wire whisk until well combined. 2. 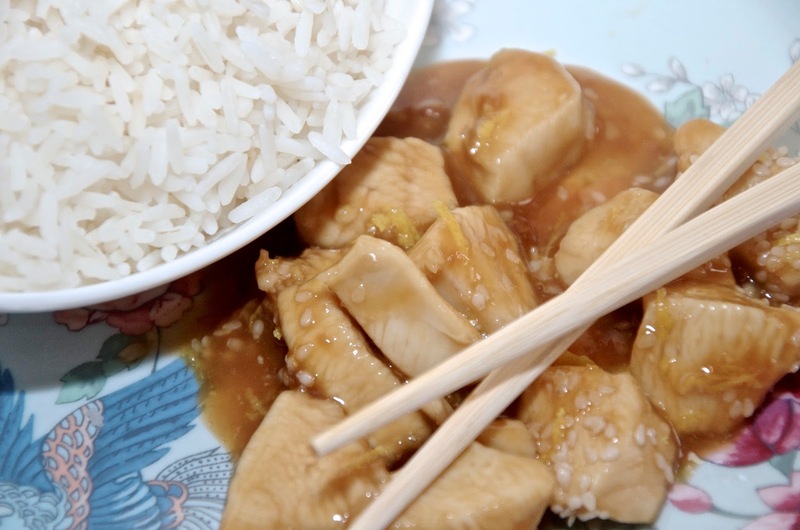 Cut the chicken into bite-size cubes and add them to the bowl, tossing the chicken until it's well coated in the sauce mixture. Leave it to marinated for 15 minutes, stirring occasionally to make sure all pieces are marinating in the lemony sauce. Meanwhile, get on with making your rice according to packet instructions if you are having it. 3. When the 15 minutes is up, put a non-stick frying pan on medium heat. Add both the chicken the marinade. Cook, stirring occasionally for about 10 to 15 minutes or until the chicken is cooked through. 4. While the chicken is cooking, toast some sesame seeds by putting them into a dry frying pan on medium heat and stirring constantly. Remove from heat when they are toasted to your liking, taking care not to burn them. 5. 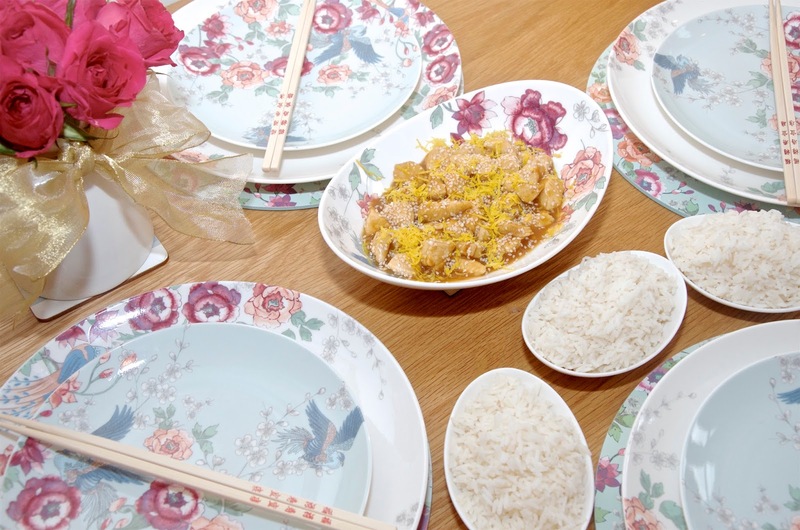 When the chicken pieces are fully cooked and the sauce has thickened into a glaze around the chicken pieces, serve it either in a serving dish or on plates, sprinkled with the lemon zest and toasted sesame seeds, alongside or on top of white rice if you've prepared it.